Hey friends! Just like that October is upon us. Hopefully, you’re enjoying the benefits of fall weather, but here in Corpus Christi, Texas it’s just as hot as ever… with mosquitoes that size of baseballs. ANYWAYS, let’s celebrate this month with some amazing promos from doTERRA. Product of the Month (POM): Did you know that doTERRA offers a FREE Product of the Month, every single month? All you have to do is place a qualifying Loyalty Rewards order, and this product will automatically be added to your cart. No promo code needed. This month only you can get a bottle of doTERRA’s Lemon essential oil for free. This is an essential oil that I use EVERY day. I love to drink a big glass of water with some lemon essential oil every morning before having my coffee. It’s a great way to gently detox my system after a night’s sleep. Here’s a tip: Keep your essential oils where you will easily access them. I keep 1 bottle of Lemon essential oil in my kitchen, where I can quickly put it in my glass of water. I also keep 1 bottle of lemon by my diffuser because I like adding it to peppermint in the morning to help wake me up before the coffee hits. 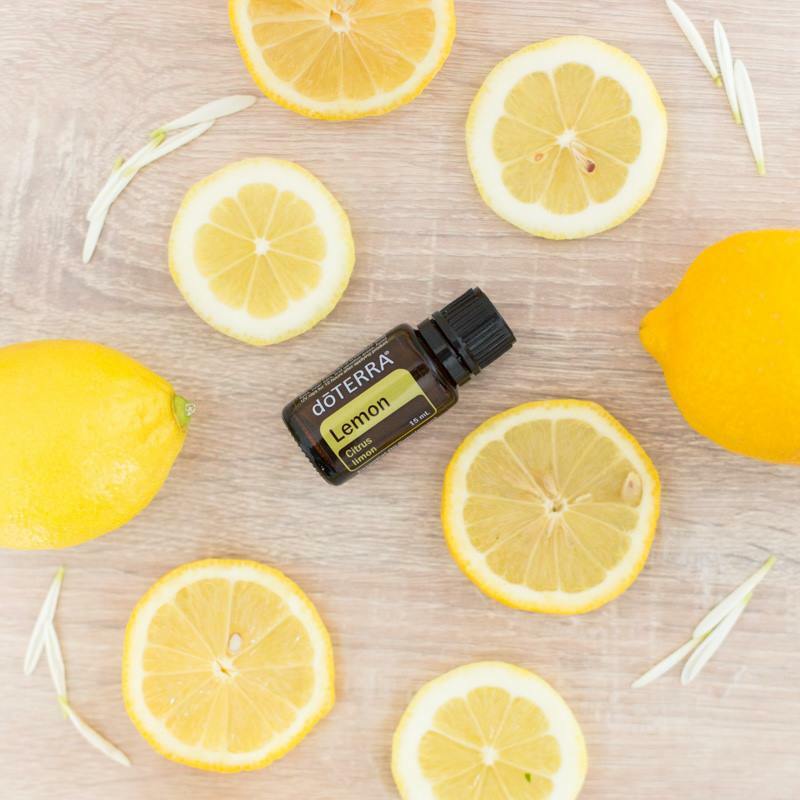 I keep another bottle of lemon essential oil near my washing machine, because I add a few drops of lemon right before I start the wash to freshen up the load! Try it out! Highlighted Product: doTERRA also offers a product at 10% off every month. This month is doTERRA’s TerraZyme Digestive Enzyme Complex. This is a blend of whole food live, active enzymes that help with the digestion of our food. TerraZyme is also great for helping our body absorb the nutrients in our food, and helps convert food nutrients to cellular energy. Who doesn’t need more energy?! 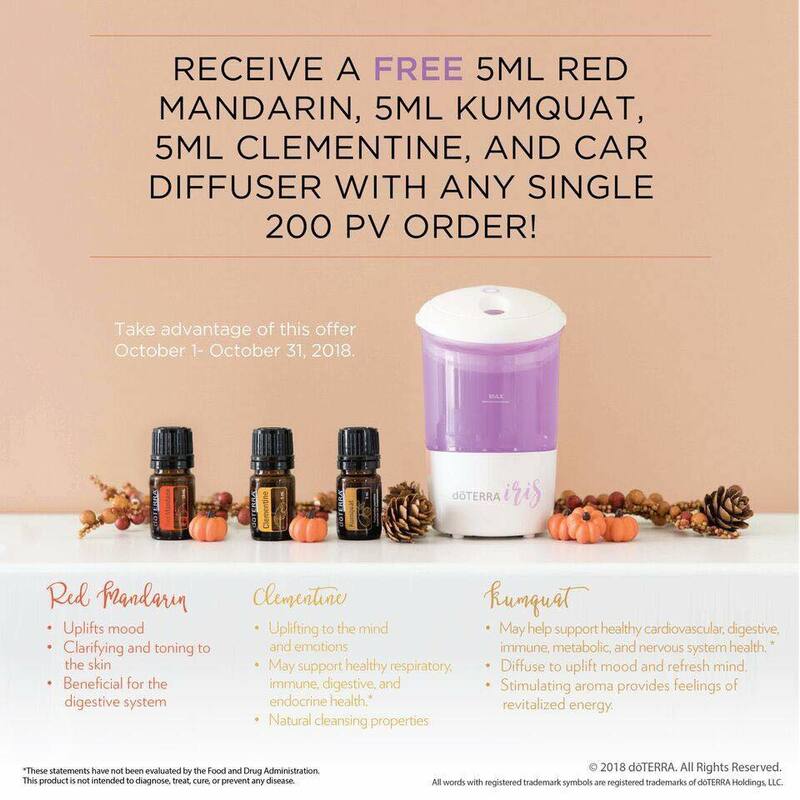 200PV Promo: I love doTERRA’s 200PV promos. They have a tendency to roll out and promote limited time items during these months. Right now, you can get a FREE car diffuser and THREE free oils. The free oils are: Red Mandarin, Kumquat, and Clementine. These limited time citrus oils are great for uplifting your mood, supporting your digestive system, and have natural cleansing properties for your skin. Simply go to mydoterra.com/amandagerber and click “Join & Save” to get started.